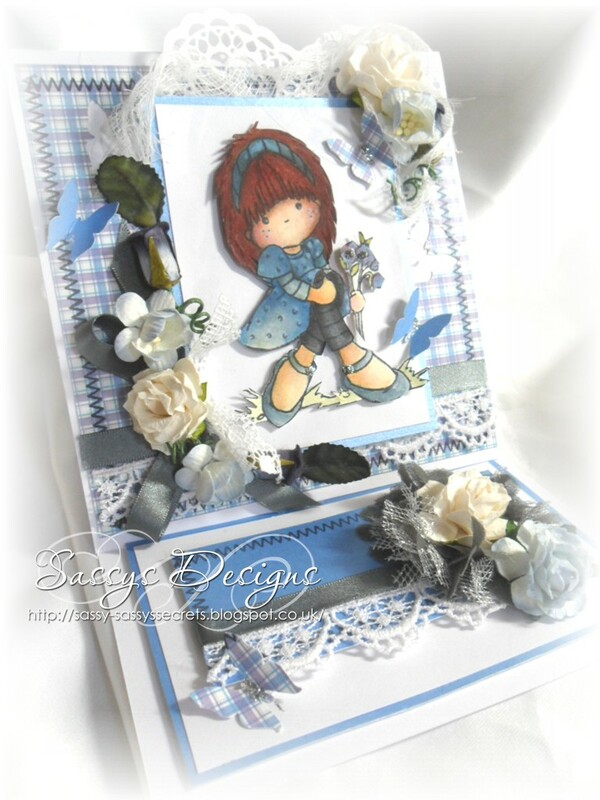 Sassy your card is absolutely gorgeous, soooooo pretty and feminine. Oh hun I hope Mount Etna vanishes soon lol. I'm glad I'm not the only one that blubs at the docs, I guess I'll see you at the shrinks & I will talk to you in the waiting room lol. 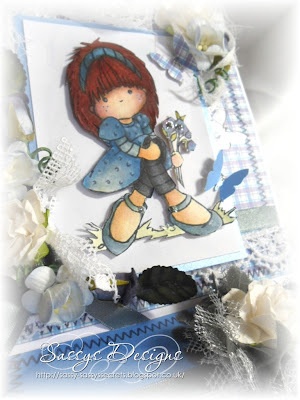 Gorgeous card sassy, the image is really sweet, I like the flowers and the butterflies. I love reading your stories. They always bring a smile to my face. I do hate that you are feeling depressed, though. I hope the doctors can help you feel better. Sending you huge ((hugs)) from the states. Super card Sassy! Where's the mistake? This is soooo beautiful Sassy!! As for your visit to the doc's me love, these things take time. Told you, I think, that I was off work for nearly three months and thought I'd never go back. I was broken in bits and even though I'm patched up now, I'm not the same. Be kind to yourself, crafting is the best therapy and remember we all love you loads! !